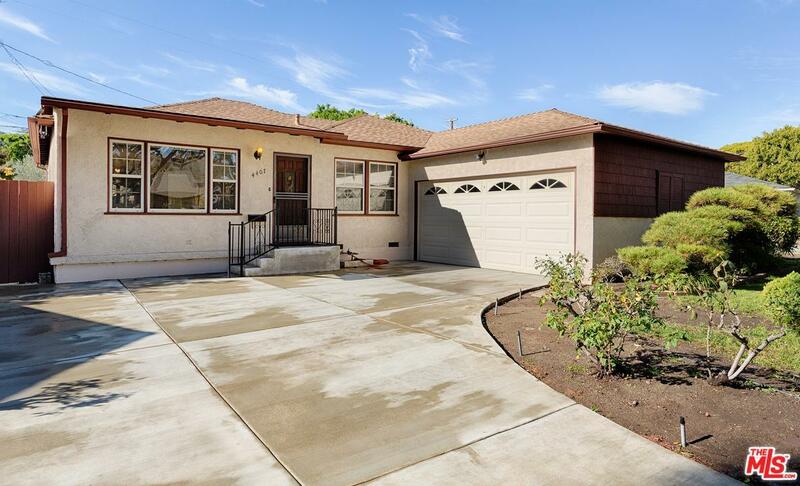 Well Maintained Traditional Home in Culver City's Favorite Carlson Park Neighborhood! 3 bedrooms (2 have been enlarged and are very spacious), 2 bathrooms, 1820 SqFt. Formal living room & dining area with picture window looks out onto quiet tree lined street. Galley kitchen with additional eating area + garden window opens onto family room with fireplace and rear yard. Well maintained home with newer windows, sizable laundry area with utility sink & double attached garage. Larger lot features garden areas with fruit trees surrounding the home. 3 blocks from neighborhood Carlson Park. 7 blocks to: Library, La Ballona Creek + bike path and Downtown Culver City.